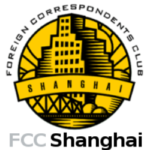 Shanghai FCC Event, Tuesday, Nov. 7, 7 p.m.
China’s 19th Communist Party Congress is over, but now the true work begins — how to interpret President Xi Jinping’s vision for China over the next 50 years. Among the questions Blanchette will seek to answer: What are the prospects for the economic reform agenda? What does the policy making process under Xi looking like? What role for the CCP moving forward? He will also offers insights into his upcoming book, Under the Red Flag: The Battle for the Soul of the Communist Party in a Reforming China, which will be published by the University of Oxford Press in 2018. About the speaker: As the engagement director at The Conference Board, Blanchette is responsible for program development and coordinates research on China’s political environment, with a focus on the workings of the Communist Party and its impact on foreign investors. Previously, he was the assistant director of the 21st Century China Program at the University of California, San Diego. He holds a Master’s degree in modern Chinese studies from the University of Oxford and a BA in economics from the Loyola University Maryland. Time: Tuesday, Nov. 7, 7 p.m.-9 p.m.